Stephanie Hutchins Autry has been a trial lawyer since 1987 and has focused her practice on eminent domain since 2000. Before joining Cranfill Sumner & Hartzog as a partner in 1995, Stephanie was a partner in the Raleigh office of an international law firm. Stephanie’s career has included dozens of successful jury and bench trials and reported appellate decisions. For the last 15 years, Stephanie has concentrated her practice exclusively in the area of eminent domain, representing property owners in land condemnation matters throughout North Carolina. She has tried over a dozen multi-million dollar land condemnation cases to favorable jury verdicts, resulting in awards greatly in excess of the condemnor’s estimated just compensation. Stephanie also has an exceptional record of resolution through settlement. Stephanie, along with her husband and law partner, George Autry, has won the two largest land condemnation judgments in NCDOT history. 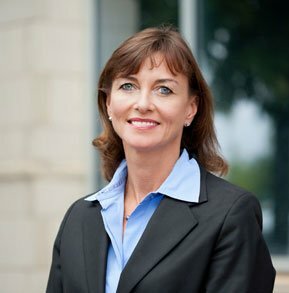 Stephanie’s track record includes trial and settlements of virtually every type of eminent domain case, including condemnations of shopping centers, gas stations, hotels, mining and manufacturing facilities, golf courses and country clubs, office and residential condominiums, livestock farms and historical properties, to name a few. Stephanie regularly represents clients against the North Carolina Department of Transportation, the City of Raleigh, the City of Charlotte, the Triangle Transit Authority, the North Carolina Turnpike Authority, and Duke Energy Progress. Representative clients include Target, Inc., Developer’s Diversified Realty, Chick-Fil-A, Triad Holding Co., Roseclay, LLC, Public Storage, Boggs Construction Co., Duke Realty, Corp., Kirkpatrick Assocs., as well as many other individuals and businesses. Stephanie has been admitted to the Supreme Court of the United States and is a member of the North Carolina Advocates for Justice. She was recently appointed to the Brigham-Kanner Property Rights Conference Advisory Board.